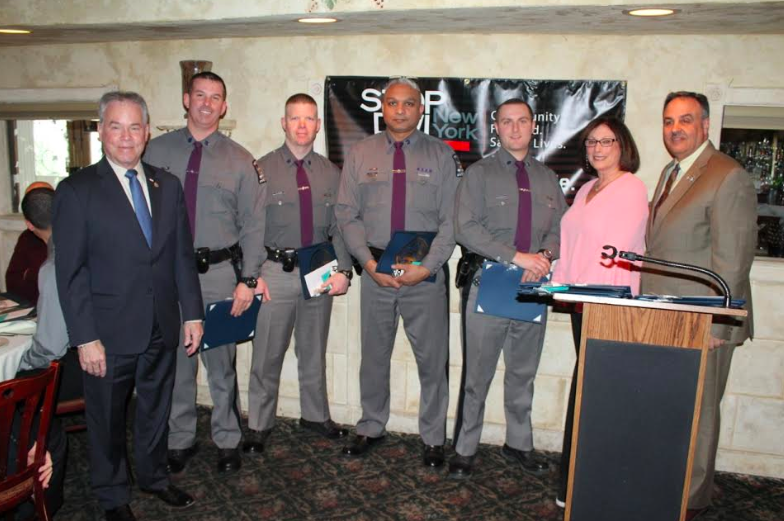 Rockland County Executive Ed Day and Rockland County Sheriff Louis Falco recognized 24 police officers who have made a significant impact in supporting local efforts to eliminate drunk driving. In 2017, a total of 839 people were arrested in Rockland County for driving while intoxicated. Spring Valley Officer Khalid Parwanta took top honors with 51 DWI arrests, the most by any officer in Rockland County in 2017. This was the 13th consecutive year Officer Parwanta was honored. Each of the 24 honorees made more than 10 drunk driving arrests on Rockland’s roadways in 2017.
drunk driving, DWI, ed day, Louis Falco, STOP DWI.